Predator hunting is exciting and fun, not to mention it’s an increasingly important tool for wildlife managers. With predator hunting quickly becoming one of the most popular off-season activities for hunters, Flextone is excited to announce new advancements in its electronic call division. Newly designed are the Flextone FLX1000 and FLX500 programmable electronic calling systems. These electronic calls are perfect for any hunter interested in predator hunting, whether it’s a beginner or someone already serious about getting after predators. Endorsed by professional hunter Steve Criner, known as the Dog Soldier, the new calls from Flextone feature high-quality speaker systems with remote-control operation with long-distance capability. The Flextone calls feature easy-to-use, intuitive systems. Hunt with Flextone Predator Systems to increase your success in the field. Whatever the hunting situation or the type of animal being hunted, the newly designed FLX1000 and FLX500 electronic calls get the job done. Fawning season is right around the corner. 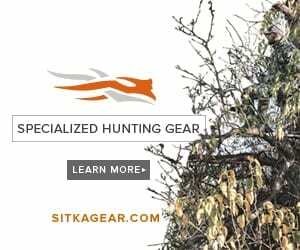 Now is the perfect time to get geared up to take a bite out of the predators that have being taking a bite out of your wildlife. The FLX1000 and FLX500 programmable electronic calling systems will make your predator hunts more fun and more successful. For more information on the FLX1000 and FLX500 Electronic Calls, please visit www.flextonegamecalls.com.